Back hair can be an unsightly and embarrassing condition, particularly for women. Most women who have hair on their backs are seeking to find the best hair removal method. Many men also borrow the tools of a woman, trying to figure out what will work best. One company has created the ideal solution: the Razorba Back Hair Shaver. Razorba Back Hair Shaver will help to get rid of unattractive back hair that men and women hate. It’s embarrassing, and it can also retain body odour, making you stinky. This is a personal care shaver that is meant strictly to be used on the back. 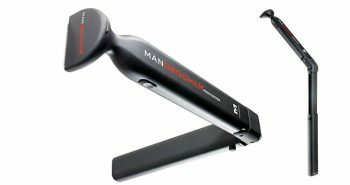 It’s not an electric or battery operated shaver, and it is not cordless or corded, and does not require any batteries, or need to be charged up. It’s made in the traditional style of men’s razors, but is built within a plastic safety razor. It’s a one-time purchase that needs no further parts or supplies except for premium Gillette razors, or other cheap disposable razors which can be purchased for minimal cost. 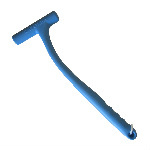 The Razorba is made from a long plastic handle. It looks like a big razor, but actually has a smaller razor blade that is inserted by the handle into the end. There is a hole and loop at the end of the handle, so you can hang it up on a hook in your shower. 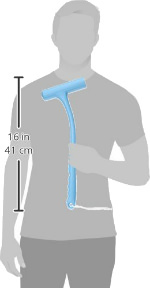 What’s notable about this razor is that it’s sixteen inches long, so that you can use it to shave your own back. The Razorba Back Hair Shaver is easy to use, it’s painless, and you can do it yourself. It’s a proven patented design, and has been around since 2003. Razorba was the first company to design a shaver for the back. This product has earned the “Best of the Web” by Maximwear”. It’s possible to lead a good life without having embarrassing body hair to have to deal with too. Best of all, you can hang it in your shower and shave it at your convenience without having to book an appointment at a salon. You’ll be able to shave off your body hair quickly, and conveniently. You don’t need to book any salon appointments, and it is painless. There is no embarrassment of asking someone to shave your back for you. There are no gimmicks either. The Razorba Back Hair Shaver has actually been tested by men with back hair, and they’ve all agreed that it works great. The reviews are favourable with this razor, about 4.4 stars out of 5, since it really works well at keeping your back smooth and clean. The Razorba has been ergonomically designed, making it easy to hold in the hand, and to shave over all the curves and corners of your back. 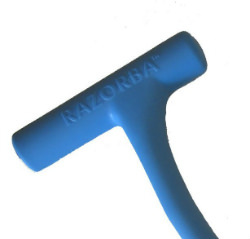 The Razorba comes in only one blue colour, with a unique design to make it lighter. It has been manufactured through a Super Shock Solid Core. This has made it durable and long-lasting, so it doesn’t break or crack, but keeps it light and ergonomic in the hands. It should last you a lifetime. It’s really simple to use the Razorba. You’ll still need to buy your favourite brand of razor, since none are included in the box. 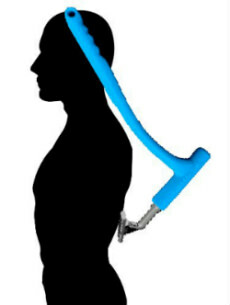 You can then easily insert one razor into the head of the Razorba. 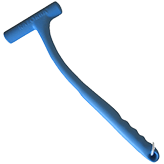 The Hamr Grip(TM) I will firmly grab onto your razor. You can then hop into the shower, rub shaving cream on your back, and begin shaving. 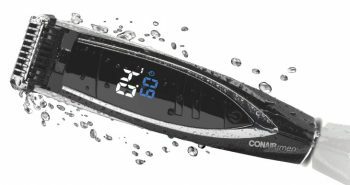 The Razorba has been featured in Maxim magazine, USA Today, Stuff Magazine, and on TV shows such as MTV, Rachael Ray Show, G4TechTV, and more. The Razorba Back Hair Shaver is a better way to shave than trying to use tiny disposable razors, or even your cordless men’s shaver. Chances are, you’ll miss some areas of your back with these techniques, which can be embarrassing if anyone notices that you have only one patch of hair on your back. Plus, you won’t have to worry about always having to replace foil or rotary heads, as they can wear out over time. When you use your Razorba Back Hair Shaver, you can replace the razors whenever you want. It can be purchased for under $20, which is affordable for most people who need more than a men’s or women’s personal shaver to keep their bodies hair-free. The Razorba Back Hair Shaver works with the following brands: Gillette Sensor Excel, Gillette Mach 3, Bic, and other disposables. 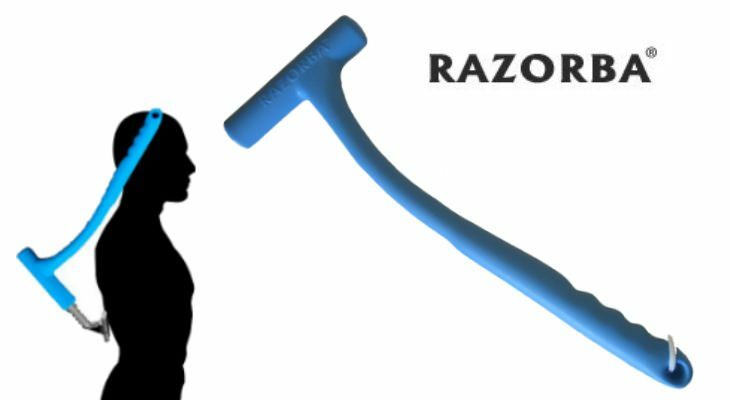 Razorba believes in supporting the name brands who have spent a lot of money on developing the best razors possible. If you’ve been uncertain what to do about unsightly body hair, buy the Razorba Back Hair Shaver. 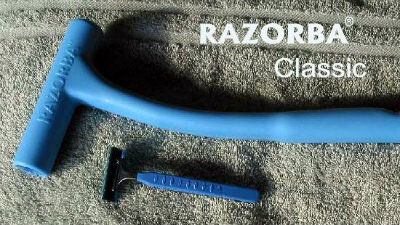 You can use up some of those disposable razors lying around your bathroom, as they easily insertable into the Razorba. Now you can feel confident about having a bare back at the pool, beach, or sauna.